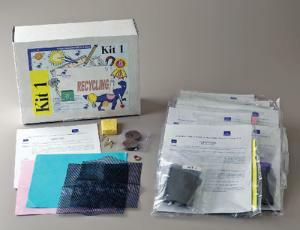 Teach students good stewardship of the environment with this award-winning kit. Creative experiments, like making a mini-composter or making paper from recycled materials, introduce students to the science of recycling and demonstrate the importance of caring for our natural surroundings and resources. You can complete all the activities using the included materials, easy to follow instructions, and common household materials you supply.Classroom set includes 10 booklets and supply bags for 30 students.